Note: Following shortcuts requires related plugins to be installed. 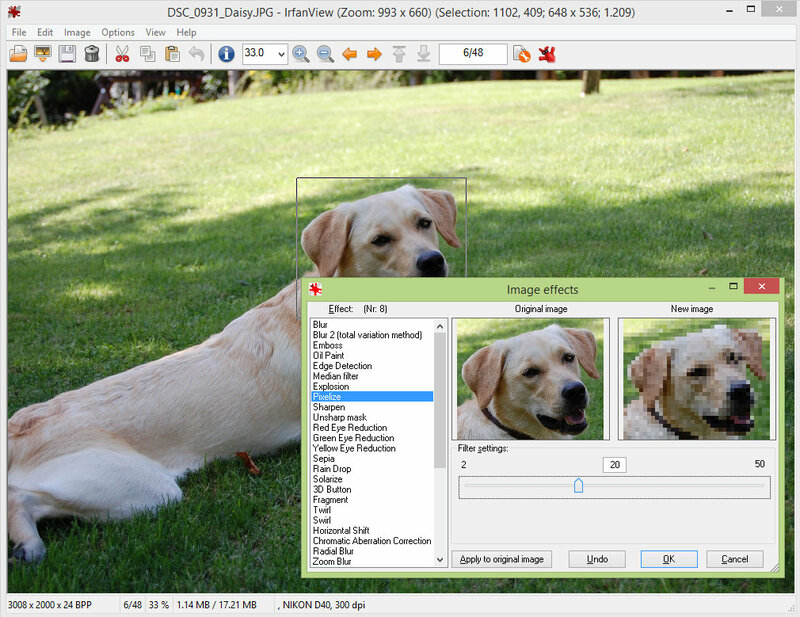 IrfanView is an image viewer, organiser and editor for Windows. The program is known for its small size, speed, wide support for graphic formats and ease of use. Released in 1996, IrfanView gets it's name from its creator Irfan Skiljan from Bosnia and Herzegovina. What is your favorite IrfanView hotkey? Do you have any useful tips for program? Let other users know below.